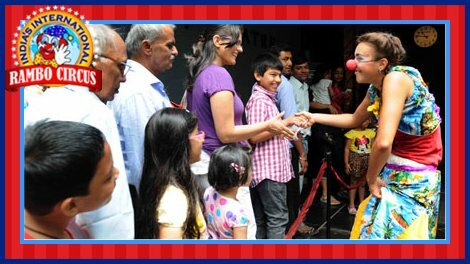 Rambo Circus grabbed the opportunity to bring Circus inside Prithvi Theatre again. Encouraged by the last June's (Read More) overwhelming experience, Rambo Circus held 8 shows in the same theatre over two days as a part of the Fourth World Circus Day Celebration. 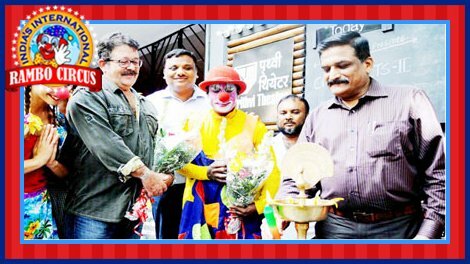 Rambo Circus Artists felt encouraged in the presence of Honourable Guest Mr. Bhagwantrao D. More (IPS (Retd), Former Addl. Director General of Police) on this occasion.